The Nautilus submersible enclosure range combines Ex e hazardous area certification with an unparalleled level of ingress protection. Primarily designed for sub-sea applications, it is certified IP68 at 100 metres for five days to EN60529. Manufactured from 316 Stainless steel, the Nautilus utilises the same flexible design approach employed on the SX range enclosures. The sizes shown below are the most popular sizes, however any size of enclosure is possible as long as each dimension falls within the range of smallest to largest size, shown on the datasheet. 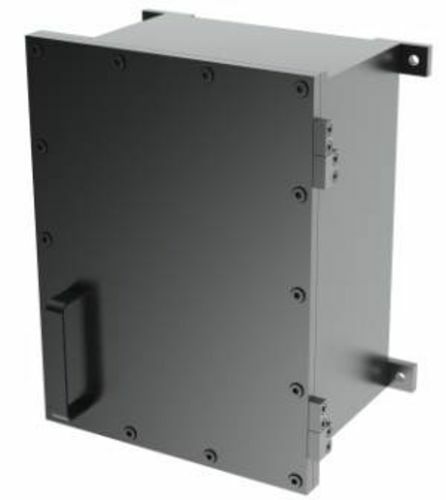 This affords the range a unique flexibility, allowing customers the ability to employ cost-effective, custom sized enclosures in their application.